The Bank of Japan on Monday cut its assessment for three of the country’s nine regions, the biggest number of downgrades in six years, suggesting that damage to exports and factory output from slowing overseas demand was broadening. The BOJ lowered its views on Tohoku, Hokuriku and Kyushu-Okinawa, whose economies are relatively dependent on the electronics industry exporting a large number of semiconductor-related products to China. But BOJ Gov. 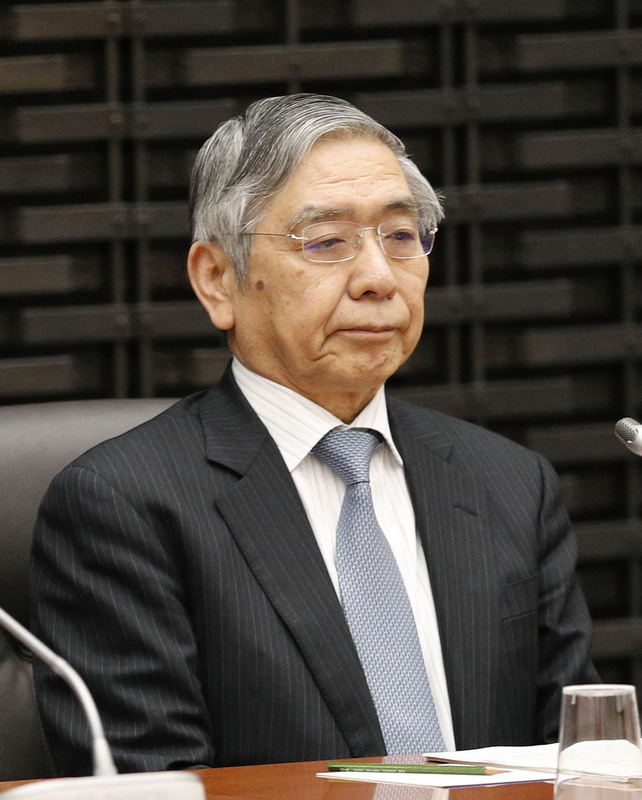 Haruhiko Kuroda said the economy is expected to continue expanding moderately, with robust domestic demand offsetting some of the weaknesses in exports. “Core consumer inflation is expected to gradually accelerate toward 2 percent as the output gap remains positive, and medium- to long-term inflation expectations heighten,” Kuroda told a quarterly meeting of the BOJ’s regional branch managers. But the bank warned that weakening global growth and simmering China-U.S. trade tensions were taking a toll on some Japanese regions reliant on overseas demand. 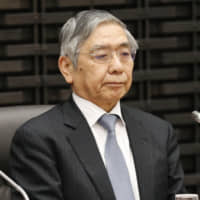 “We have had to cut our assessments on exports and output for some regions because we’re hearing more complaints about the impact of the global economic slowdown than three months ago,” said a BOJ official briefing journalists on the quarterly report. The report cited several companies that put off investment in new equipment due to uncertainty over the global outlook. “We decided to forgo a plan to build a new semiconductor equipment plant as Sino-U.S. trade friction heightens uncertainty over the global economy,” a machinery maker in Kumamoto Prefecture was quoted as saying. The BOJ raised its assessment for one region and maintained its view for the remaining sfive. Under a policy dubbed yield-curve control, the BOJ guides short-term interest rates at minus 0.1 percent and the 10-year government bond yield around zero percent in an effort to achieve its 2 percent inflation target. The meeting of the BOJ’s regional branch managers came after the bank’s quarterly tankan survey showed worsening business sentiment among big manufacturers. The key index, measuring confidence among large Japanese manufacturers, stood at 12, down 7 points from 19 in December, the biggest points decline since December 2012 when Prime Minister Shinzo Abe’s current administration was launched. The tankan reflected worries over the slowdown in China and other overseas economies, which resulted in weak demand for Japanese manufacturers, analysts said. Kuroda also told the BOJ’s regional branch managers that the bank will make policy adjustments if necessary to maintain momentum toward its inflation target of 2 percent, while monitoring relevant risks.